Making the resolution to get into better shape usually means purchasing an exercise machine to tone and build muscles. Of the different types of exercise machines available, the stair climber machine has enjoyed considerable popularity for decades. 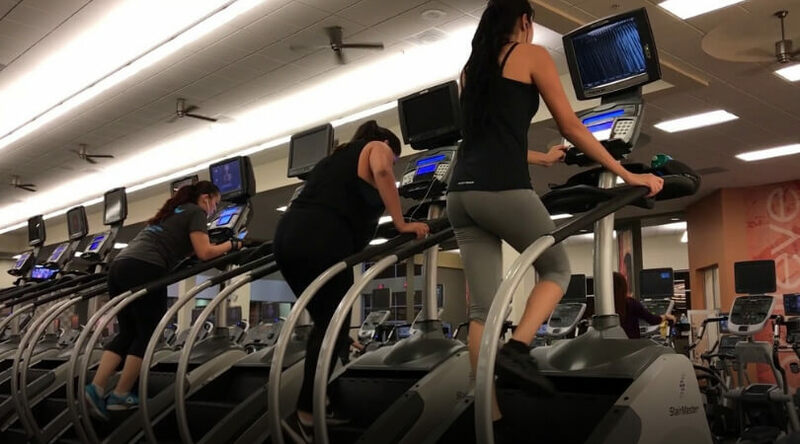 A stair climber machine can be perceived as a mini-escalator, allowing you to climb the stairs continually without stopping for as long as you program the device. Some machines offer actual steps much like an escalator while others provide separate platforms for each foot that are moved up and down as if you were climbing the stairs. The purpose of stair climbers is to offer a higher intensity activity compared to walking or jogging with far less impact on the joints. Their popularity has been considerable over the years with people of all ages, but what advantages do they provide? Boosts Cardio Rate: Much like aerobic exercise, the continual movement up the stairs provides a boost to your heart rate. This strengthens the heart muscles, improves the circulatory system, and helps to burn calories, so you can lose excess weight. Engages Largest Muscle Groups: The most beneficial exercises to the body engage the major muscles groups, the largest of which are found in the thighs and hips. The stair climber not only engages the muscles but works them harder compared to walking or jogging for the improved benefit. This means you get more out of your workout in less time. Builds Muscle Tissues: Because you are continually climbing, the lean muscle tissue in your legs must react and grow. The more muscle tissue you build, the more calories are burned to feed them. This means that you are losing inches off your entire body and burning calories at a higher rate thanks to using the stair climber regularly. Improves Balance: The act of climbing the stairs will improve your balance as the muscles in your arms, shoulders, back, and torso must work to keep balanced with the aid of the handles or rails the machine provides. This means that you are getting a total body workout which improves your overall physique. Low Impact: Arguably the best reason to consider a stair climbing machine is that the impact on your joints is far lower compared to walking, jogging, and many other aerobic activities. By lessening the impact, you are less likely to be injured. Plus, by preserving the cartilage, ligaments, and tendons in the ankles, knees, and hips, you will retain greater mobility when you get older. The truth is that choosing the right stair climbing device will provide you with a higher intensity activity while protecting your ankles, knees, hips, and back. The best devices build muscle tissue, boost your heart rate, work for your major muscle groups, and improve your balance while preserving the ligaments and tendons that hold your muscles together. If you are considering an exercise device to help you get into shape and lose inches around your torso, hips, and thighs, then a good, high-quality stair climber machine may be the answer.